Boston has plenty of beer gardens popping up this time of year! Well, we can add a wine garden to the mix! 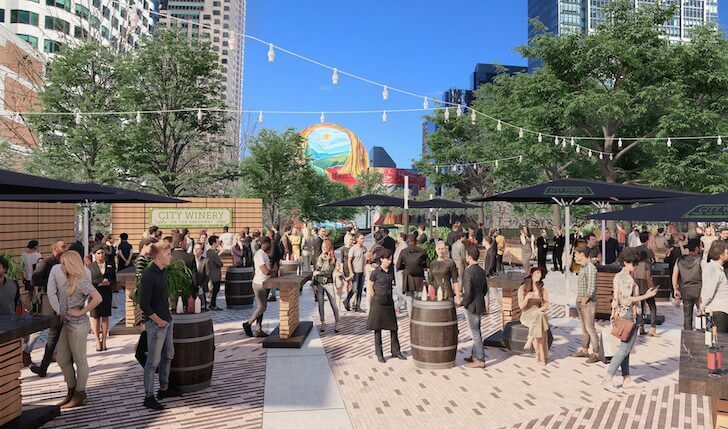 Boston’s first and only outdoor wine garden, City Winery on The Greenway, will be popping up this spring on the Rose Kennedy Greenway on Dewey Square. The wine garden, a partnership with the nonprofit Greenway Conservancy, will be open on Wednesdays & Fridays 3:30PM-10PM, Saturdays 1pm-9pm and Sundays 11am-7pm. City Winery on The Greenway will open its doors this May with more details to be announced soon. City Winery will be serving their award-winning locally crafted wine on tap, including multiple varieties of reds, whites, and rosé. In addition to lots of delicious wine, City Winery has partnered with Harpoon to offer locally-made craft beer and cider. They will also feature a Mediterranean-inspired menu of charcuterie, cheeses, olives and nuts which will pair perfectly with wine! We can’t wait!